If you are searching for the green panel with modern curved water curtain, which is durability and has long life service, then the Curved Water Curtain with ready-made Vertical Garden is what you are looking for. 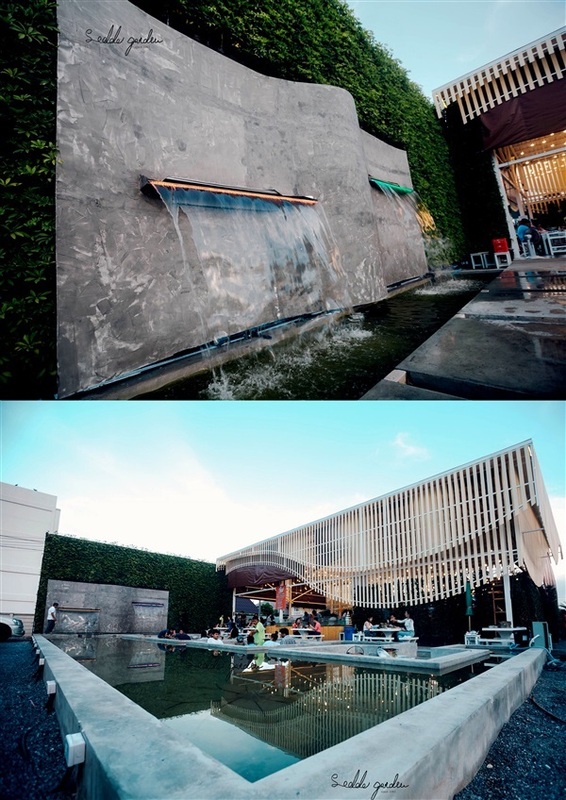 This item is a combination of a large scale of vertical garden (length 12 meter and height 6 meter), which presented the refreshing, and blended with the curved-polished cement water curtain (length 6 meter and 3 meter). The platypus water curtain will be placed on the curved-polished cement wall, which is made from stainless steel (length 2 meter) included the lighting controlled by remote controller. It is the mixture of the refreshing and modern theme. Since the Curved Water Curtain is a ready-made item so it can be installed and removed anywhere at any time on your demand and it can be used as the movable backdrop for the photo shooting for your friend or visitor. The curved water curtain can be produced in many sizing and variety material to be chosen as the custom-made order.